I discovered Cleverbot when browsing Reddit.com. 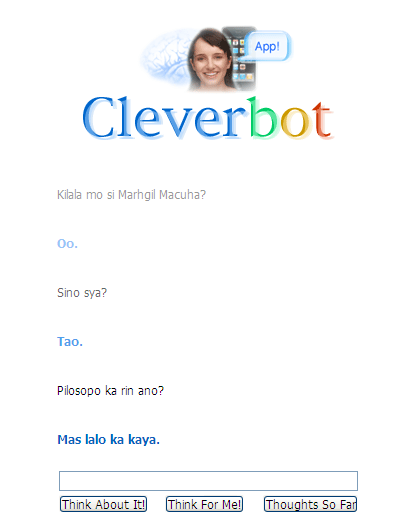 I tried talking to it using jejespeak and I was surprised when it replied in Tagalog! Here are some of our funny conversations His words are in blue. Cleverbot seems really clever, huh?